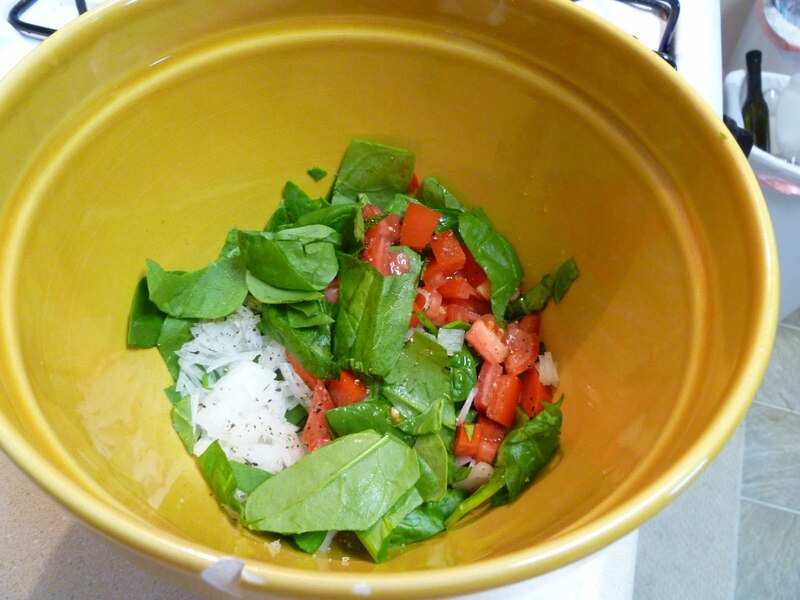 Easiest dinner ever! 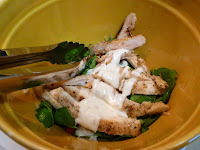 We had these chicken ranch roll-ups before tennis practice the other night and they were really good. 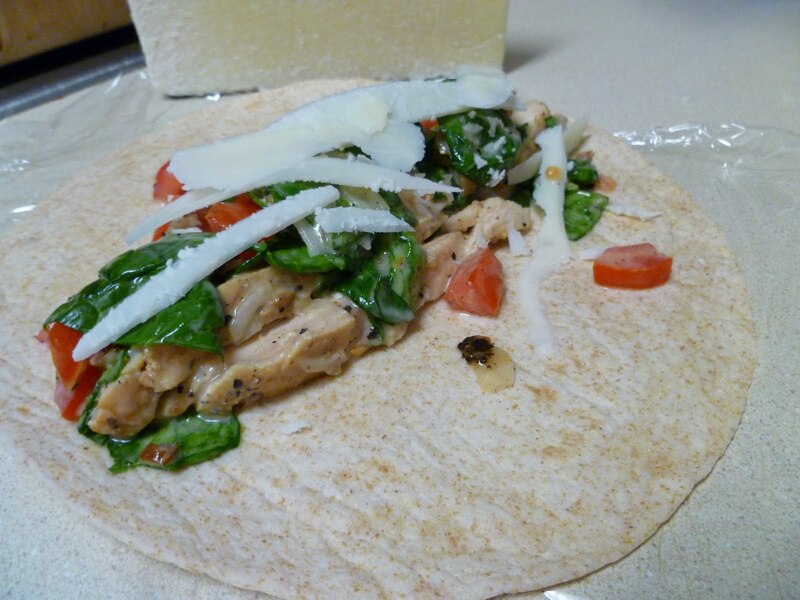 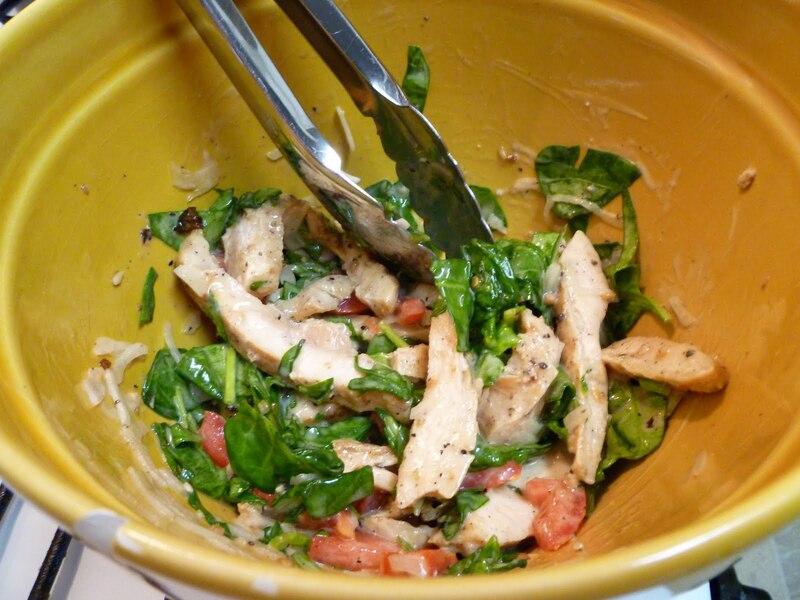 Spinach, tomatoes, onion, chicken, cheese and a tortilla – yum! 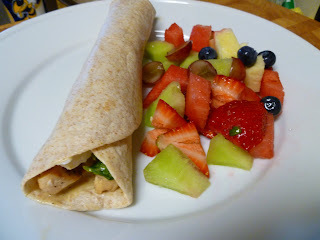 Served with some cut up fruit, yes please! 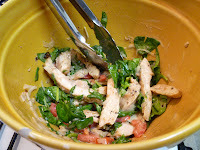 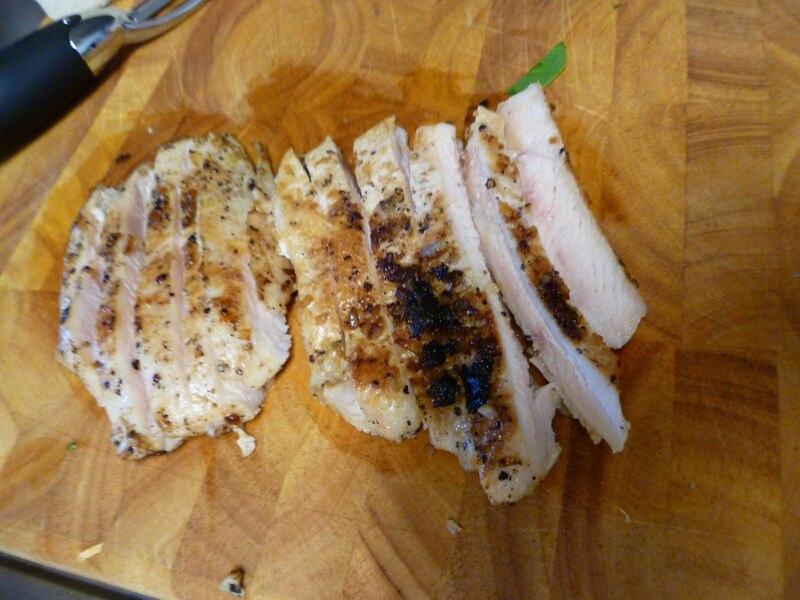 This went from ingredients to a meal in less than 15 minutes and the kitchen didn’t get crazy hot; huge plus! Sometimes I'll throw ham and cheese or turkey and cheese into a tortilla just to bust up the monotony of having a sandwich with bread everyday.